J. Chapman Sculpsit. 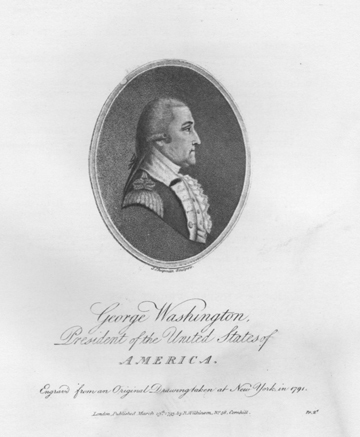 / George Washington, / President of the United States of / America. / Engrav'd from an Original Drawing taken at New York, in 1791. / London, Published March 19th. 1793, by R. Wilkinson, No. 58, Cornhill. / Pr. 2s.